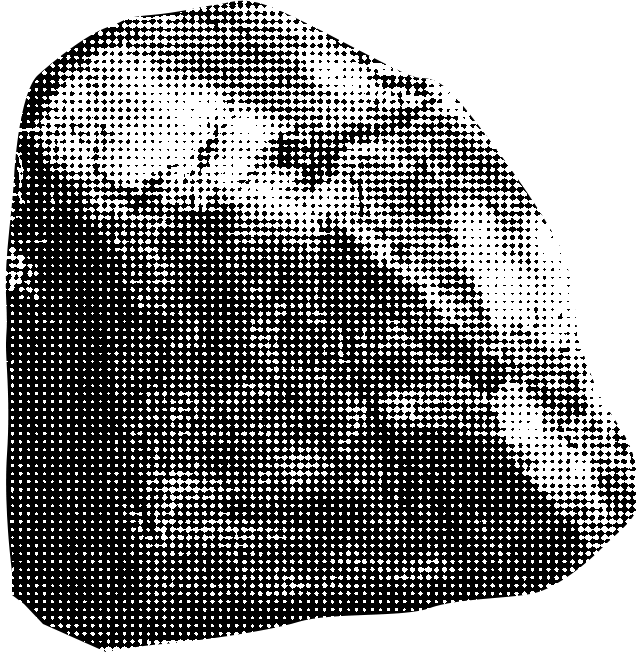 In Western culture stones and rocks often have negative associations as dumb, unfeeling and burdensome. 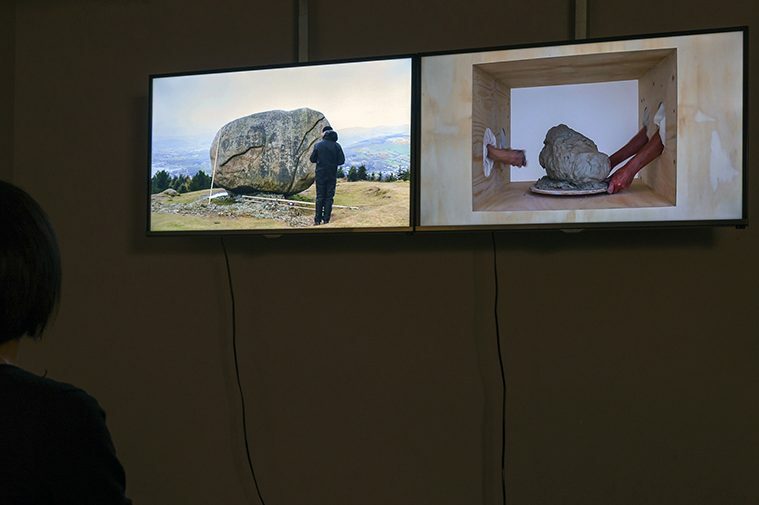 Figures of speech such as ‘between a rock and a hard place’, ‘like getting blood out of a stone’, alongside the legend of Sisyphus with his eternal punishment, reinforce this low status. 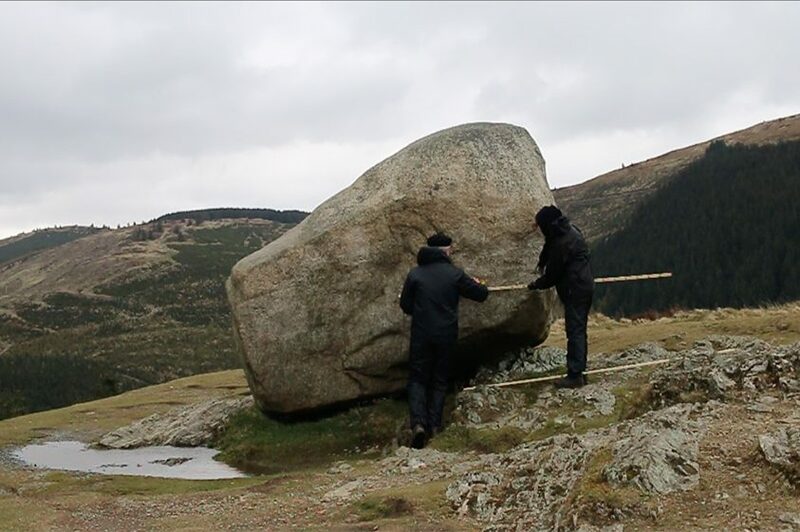 Meanwhile there are other instances, most notably in Japan and China, where rocks are venerated and used as a focus for contemplation or pilgrimage. 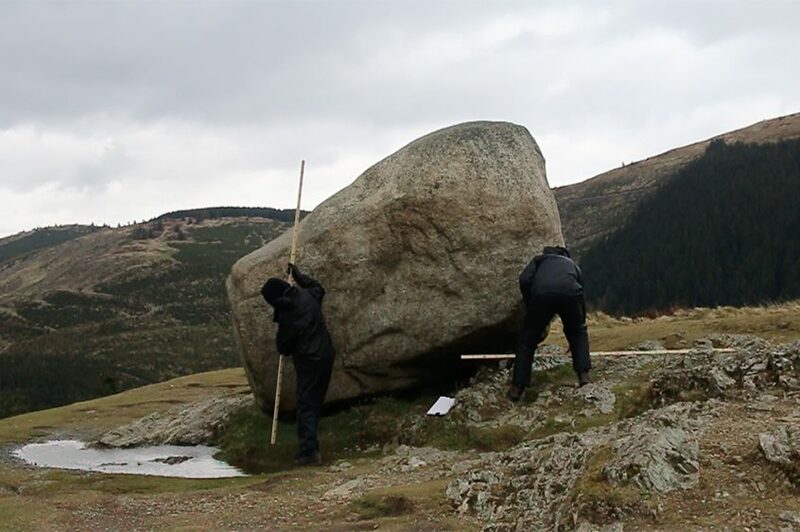 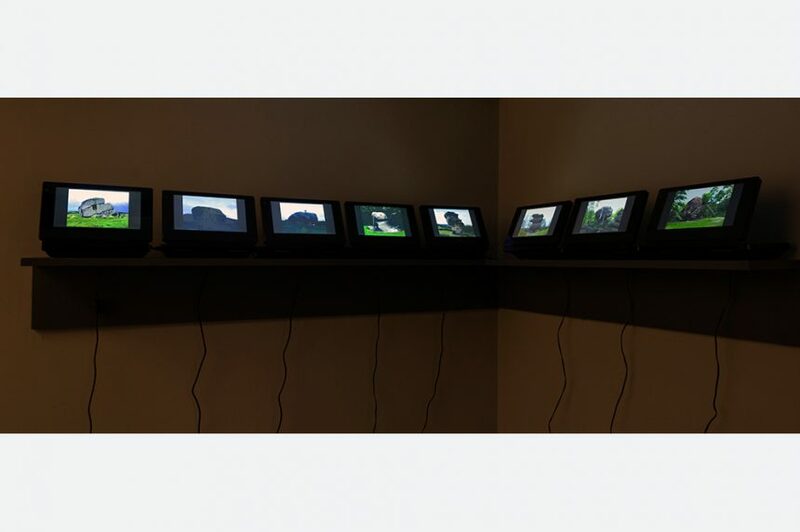 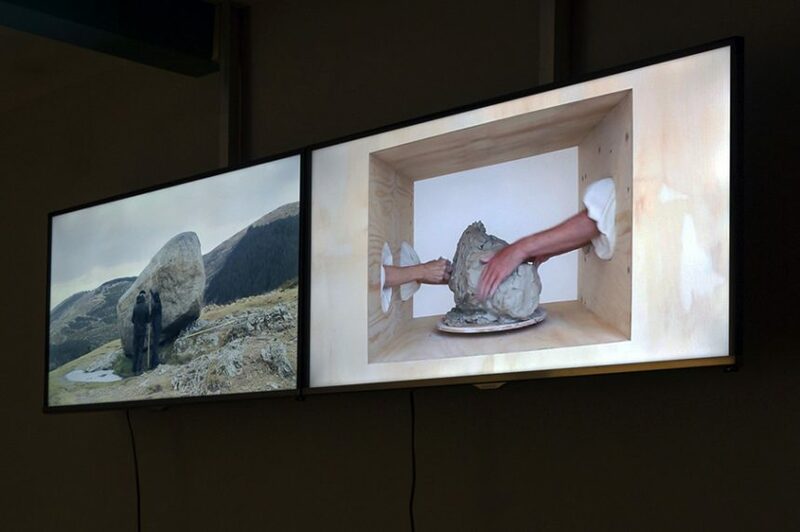 Stone Appreciation 3 presented videos of Dunhill and O’Brien in various British landscapes drawing and measuring large boulders alongside film of their attempts to model those same forms in clay from memory without viewing the clay object as it forms. 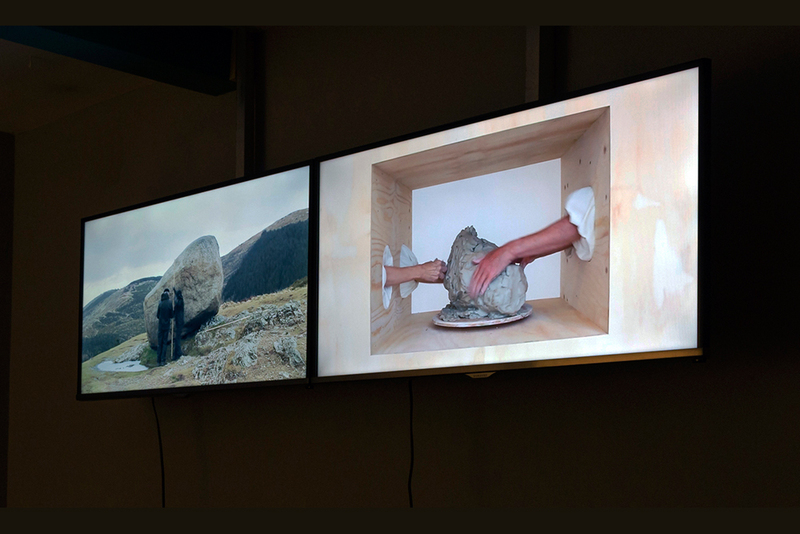 The physical act of clambering on, under and over these rocks, attempting to gather information has been translated in to the smaller gestures and awkward intimacy of hand modeling.